This design has a horizontal pocket on the right flap of the card (which holds the inserts) and a flap on the left to fold over the card. The card is 5″ x 7″ after folding. The center flap displays the invitation. 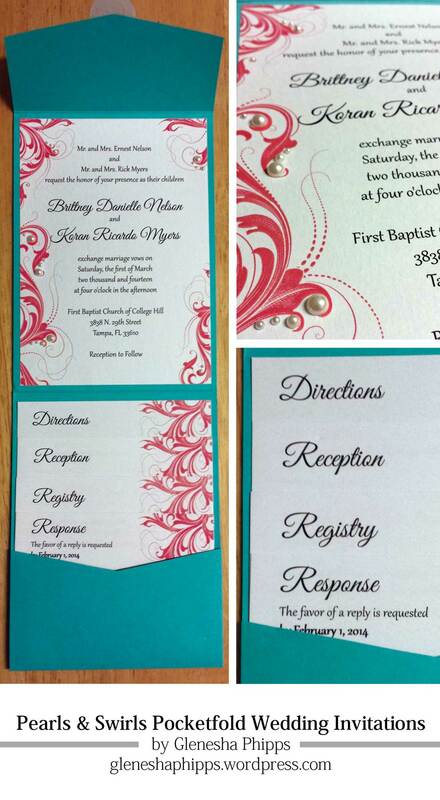 The invitation and insert cards are customized and printed on white card stock. The insert cards can be used to display additional event details, maps, directions, rsvp cards, reception cards, hotel & registry information, etc… They are trimmed to achieve a layered look. The invitations were mailed in a white vellum envelope.